One of the local land users at Northampton (a golf club) attempted some unauthorised development by digging up land to put down a car park. They have now submitted a retrospective planning application for the car park. We are now in the public consultation period and we need to mobilise again people who care about their heritage. The Battle of Northampton is important in British history. We need you to go on to the Northampton Borough Council website and object to the application. This is quite straightforward. Go to the planning website (click on the NBC Planning Portal link at the end of this report) and search using reference N/2015/0785. This is the same place you can view the planning application. Click on the Comment button and fill out the form. It is really that easy, so please don’t put it off. Every objection is valuable and will count in favour of protecting the site. This is a registered battlefield protected by the National Planning Framework which says that any development on the site should be wholly exceptional. The application does not say how this car park is exceptional. 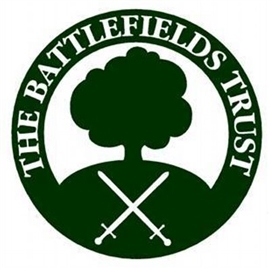 The council’s own Conservation Management Plan (“CMP”) for the battlefield was adopted as part of its planning decision framework. The CMP says the council should resist further development within the Registered Battlefield. The application fails to address how it complies with this section of the CMP. The CMP effectively acts as a local designation of the heritage asset and implies that substantial impact on the battlefield occurs with any further development on the registered battlefield. The Council needs to take this into consideration when reaching its decision. The application claims that there are no finds of archaeological importance, and this has been reported in the local press. This is contrary to the archaeological report attached to the application. A well preserved French medieval brooch has been found and lead shot which if dated back to the battle will alter what we know about the early use of small calibre hand guns. The ball pit and trench is an addition to the application for the car parking spaces and should be applied for separately. Crucially it falls outside the area which was surveyed by the archaeologists investigating the proposed car park area. There is no evidence to suggest that the site of the trench is made up ground and given the significance and sensitivity of the site, it needs a full archaeological survey before any planning permission can be considered. The area concerned is green space and parkland, there for enjoyment and use of the community. This development would considerably erode that sense of open space, which once gone, will never return. Whilst the application makes provision for the protection of any further archaeology below ground, it does not consider the environment that will be destroyed in its creation. None of the local stakeholders such as the Delapré Park Management Committee, Friends Of Delapre Abbey, the Stables or local community groups have been consulted on what is essentially a major change to the parkland. By allowing this application it will be condoning the Golf Clubs’ earlier action of illegally carrying out the work without prior planning permission, and against the CMP. The Golf Club attempted to present the Council with a fait accompli when they knowingly started to dig up the site following a previously failed planning application and it would seem to be an offence to any form of legal process that they should be able to reap the rewards of this action.